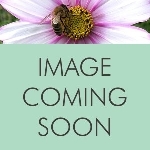 This is an alphabetical listing of all the cottage garden plants. 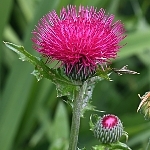 At times, especially during the summer, plants may be cut back or pinched out if they are too far advanced to ship whole. 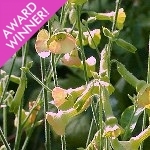 This encourages annuals and biennials to produce extra flowering stems, so no bad thing! 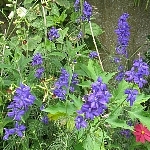 Perennials will establish well for next year, but may or may not flower this year, depending on species. 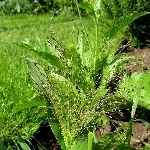 In some instances top growth may be woody or sparce (e.g. 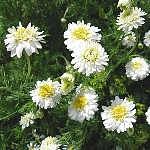 Anthemis tinctoria), but don't worry, the plants are perfectly healthy and will soon produce fresh foliage! 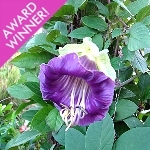 Please contact me if you would like to enquire about specific plants. 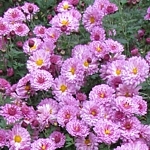 A beautiful late-autumn flowering spray chrysanthemum, with masses of dusky pink, double flowers above dark green foliage. So reminiscent of English cottage gardens! 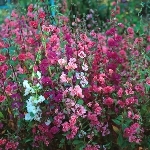 Masses of soft, double flowers in reds, pinks, mauves and white. 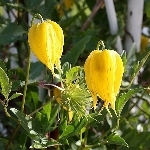 This variety produces tall plants. 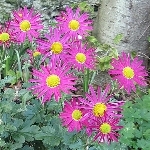 Make a lovely cut flower. 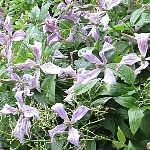 A wild form of clematis originating from the US, with nodding, blue-purple flowers with four petals (or, more accurately, tepals). 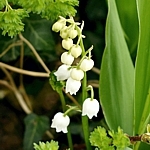 A good choice for scrampling over walls or large shrubs in a spot offering some shade. 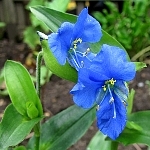 Seed 1 packet - 30 seeds approx. 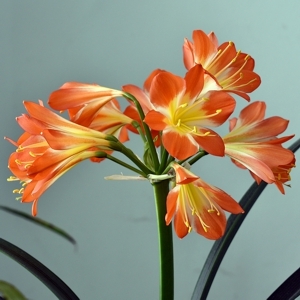 A dynamic flowering houseplant native to South Africa, Clivia miniata is a rewarding plant to grow. 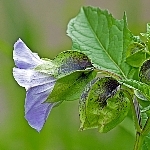 Equally attractive when in its dormant stage, with broad, arching, spear-shaped leaves, but coming into its own when the flowers, which last for weeks, put on a show! Highly recommended. 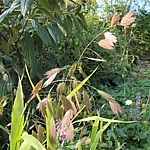 Seed 1 packet - 20 seeds approx. 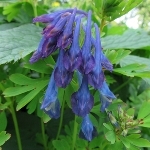 Much easier to grow than the related Corydalis flexuosa, this beautiful woodland plant produces spikes of rich, dark-blue flowers with a coconut-like scent above finely divided light-green foliage with tiny magenta markings at the base and tips of the leaflets. Delightful! 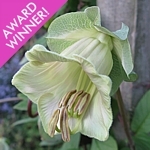 Choose a packet of seeds from the three varieties below and it will be added to your order absolutely FREE! NEW! >> 2019 CALENDAR << NEW!